The keywords advertisers choose to use in their pay per click campaigns has a huge impact on the whole success of the campaign. If s/he chooses to use unrelated keywords, the traffic will be unrelated resulting in not many conversions. However, at the same time, if s/he chooses contextual and relevant keywords for their campaign, they will gain the best results. 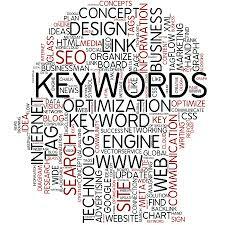 The keyword selection process is a process which the advertiser needs to take a lot of time and care into doing. Just from the above paragraph, it is clear that keywords can either make or break a campaign. Therefore, make sure, an an advertiser, to consider the following points below when it comes to selecting your campaign’s keywords. General news – Look at what is hot in the news and try to take advantage of it. Hot news is in the minds of everyone for a short period of time – something you can relate to the web user with. Geographic – Make sure you keep an eye on where your target market is. You could find that your target market slowly diversifies from America to England. If this is the case, you will need to change your keywords to accommodate this. People move locations and your target market will vary with this. What time of year is it? – The season which your campaign is in will affect the keywords you should choose. The obvious example for this is Christmas which, for some advertisers, is where most of the year’s earnings come in. There is a line between how valuable a keyword is to your campaign and how much it will cost you financially. For example, the keyword ‘insurance’ will cost you $55! As likely as that keyword is to getting you a conversion, you will still be out of pocket by $55 and that is a lot of money for just one click. For this reason, make sure you way up your keywords with how valuable they are to you campaign financially. Some keywords might be perfect for you. However, if they cost an arm and a leg, it is not going to make you much money in the long term. This is why many campaigns also have many negative keywords running alongside their normal keywords since negative keywords have a much lower CPC in general than normal keywords. Making sure you pick the right keywords is crucial to the success of your campaign. Picking the wrong keywords is the same as pouring money down a drain. You will be gaining traffic not interested in your campaign. Save yourself the hassle, frustration and money by making sure you pick the right keywords for your campaign (and by right, I mean financially to make the most money while maintaining the best CTR/conversion rate).